ARTESIA — Detectives from the Los Angeles County Sheriff’s Department Missing Persons Unit are seeking the public’s assistance in locating Makoto William Ishino. 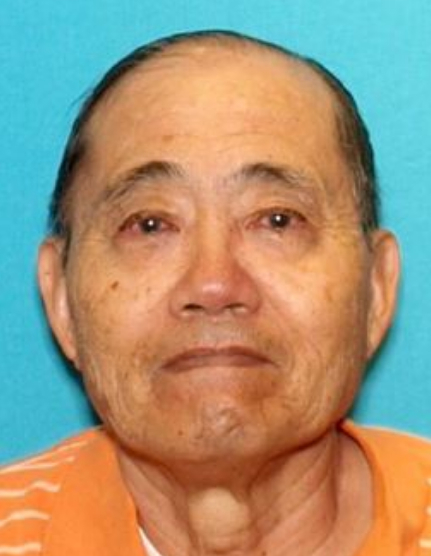 Ishino was last seen on Tuesday at 11:45 a.m. leaving his residence on the 18500 block of Elaine Avenue in Artesia. He may possibly be headed to the 300 block of Cedar Avenue in Long Beach. He is described as an 83-year-old Asian male, 5’06” tall, weighing 150 pounds with black, short hair and brown eyes. He was last seen wearing a short-sleeve plaid shirt and beige pants with black gym shoes. He suffers from dementia and depression, and the family is concerned for his well-being. They are seeking the public’s help in locating him. Anyone with information about this incident is encouraged to contact the Los Angeles County Sheriff’s Department’s Homicide Bureau, Missing Persons Unit, Detective Tamar Abraham or Sgt. Sandra Nava, at (323) 890-5500. The Homicide Bureau is located at 1 Cupania Circle, Monterey Park. If you prefer to provide information anonymously, you may call Crime Stoppers by dialing (800) 222-TIPS (8477), use your smartphone by downloading the “P3 Mobile App” on Google Play or the App Store, or by using the website http://lacrimestoppers.org.